Short stories and a novella from one of crime fiction's most revered writers. Whether they're cops or conmen, savage killers or creative types, gangsters or God-fearing citizens, George Pelecanos' characters are always engaged in a fight for their lives. They fight to advance or simply to survive; they fight against odds, against enemies, even against themselves. In this, his first collection of stories, the acclaimed novelist introduces readers to a vivid and eclectic cast of combatants. A seasoned claims investigator tracks a supposedly dead man from Miami to Brazil, only to be thrown off his game by a kid from the local slum. An aging loser takes a last stab at respectability by becoming a police informant. A Greek-American couple adopts an interracial trio of sons and then struggles to keep their family together, giving us a stirring bit of background on one of Pelecanos' most beloved protagonists, Spero Lucas. 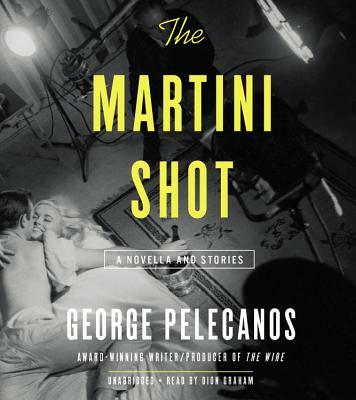 In the title novella - which takes its name from Hollywood slang for the last shot of the day, the one that comes before the liquor shots begin - we go behind the scenes of a television cop show, where a writer gets caught up in a drama more real than anything he could have conjured for a script. George Pelecanos is the bestselling author of nineteen novels set in and around Washington, DC. He is also an independent film producer, and a producer and Emmy-nominated writer on the HBO series The Wire and Treme. He lives in Maryland.